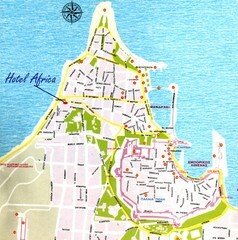 Map includes old town city and tourist sites. 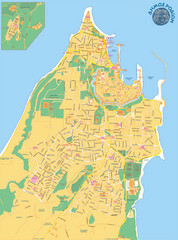 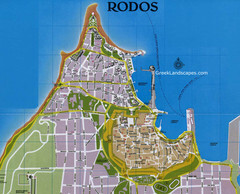 City map of Rhodes, Greece. 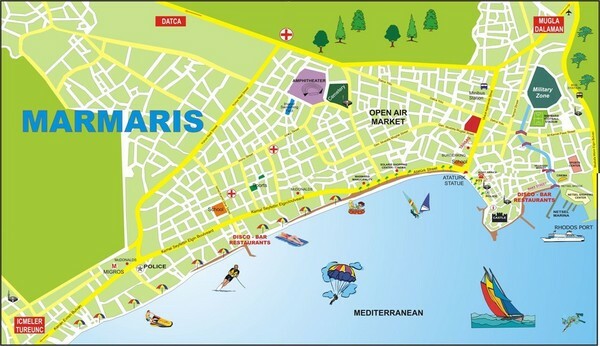 In Greek. 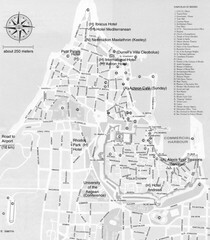 City street map of city of Rhodes, Greece on the Greek island of Rhodes.